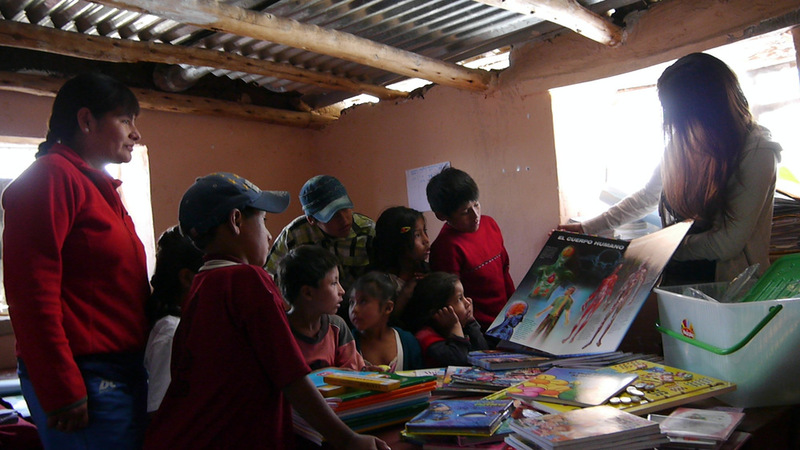 Mission: Donate books and educational supplies to a one room multigrade school, grades 1-6. This is the second of our six part school improvement project series. Cunca is a little village of about 250 people, located in the mountains of Southern Preu. It’s so small that even after living near it for about a year and only 20 miles away, we had never heard of it. The school has about 12 students, whom share a one room multi-grade school, grades 1 through 6. The teacher basically lives at the school during the school days, and shares a kitchen of one of the two houses next door. We decided to help the school with an educational package containing much needed school supplies. In all we spent about $170 to buy over 80: reading books, dictionaries, thesaurus, maps, posters, educational games, etc. The children were so surprised, excited, and extremely thankful of the gifts! It’s rare that the students/children there get surprised with gifts at all. Many thanks to all whom helped sponsor these projects.